David Staten, Visual Associate from Room & Board Chicago, sat on a panel during Savannah College of Art and Design (SCAD)’s Style Week to discuss interior design. The panel, House and Object: Residential Interiors at their Best, also featured Tamara Kaye-Honey of House of Honey and Caroline Grant and Dolores Suarez of Dekar Design. The panelists led a lively discussion about interior design and explored the concept of statement pieces, trends in green design and how to balance personal philosophy with a client’s direction. When asked about trends in green design, David mentioned Room & Board’s partnership with the U.S. Green Building Council and shared that our vendors use sustainable and natural materials, citing our Dunn table as an example. 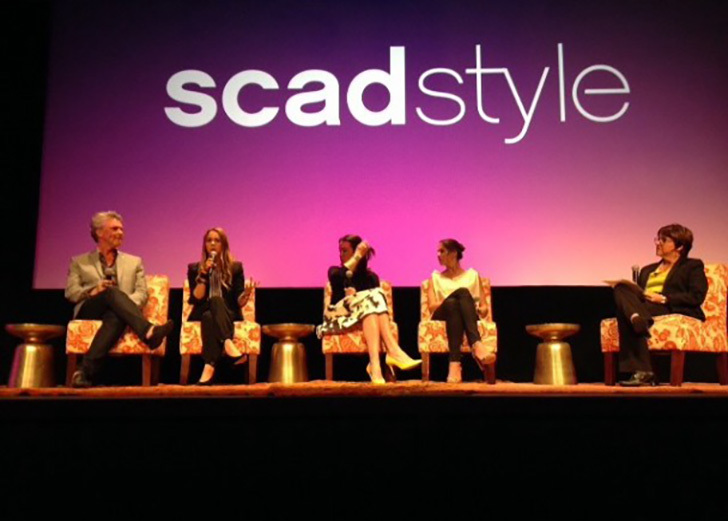 Room & Board was honored to be a part of SCADStyle Week and we look forward to next year.